The Delhi Police on Tuesday registered an FIR against ex-DUSU president Ankiv Baisoya for allegedly furnishing fake marksheets to get admission in the Delhi University. Baisoya has been booked on the IPC charges of cheating and forgery. AICC joint secretary and NSUI national in-charge Ruchi Gupta said it was a vindication of the NSUI’s stand that Baisoya is a “fraud”. “It is quite remarkable that all institutional machinery should kick in with such speed immediately after the expiry of the two-month period (for conducting fresh elections). This cancellation of admission, FIR, resignation etc now is just confirmation of our charge that Baisoya is a fraud and the RSS-BJP are capturing institutions,” Gupta said. Meanwhile, the RSS-affiliated Akhil Bharatiya Vidyarthi Parishad’s vice-president Shakti Singh met the varsity’s vice-chancellor Yogesh Tyagi and submitted a letter requesting him to be made DUSU president since the two-month period has expired. On the registration of the FIR, the ABVP said Baisoya is no longer a member of the students’ outfit and if he has done something wrong, he should be punished. 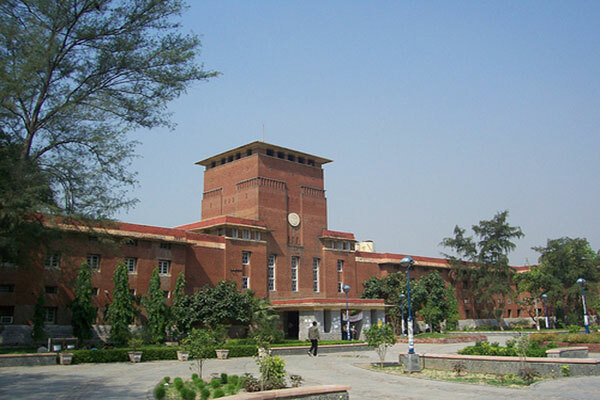 The university authorities had filed a police complaint in connection with the matter on Monday. According to the complaint filed by K T S Sarao, the head of the Buddhist Studies department, Baisoya had appeared in the entrance examination conducted nationally by the university for admission to the masters course. “After clearing the examination, Baisoya took admission in MA Buddhist Studies, Part I, and submitted six marksheets of six semesters of Bachelor of Arts degree from Thiruvalluvar University. The basic qualification for admission to MA (Buddhist Studies) is a bachelor’s degree from any recognised university,” Sarao said in the complaint. According to the complaint, in a written response to a request from Sarao for verification of these marksheets, the controller of examinations of Thiruvalluvar University has said that each of these marksheets submitted by Baisoya “is not genuine. It is a fake certicate”. “On the basis of verification report received from the Controller of Examinations, Thiruvalluvar University, admission of Baisoya was cancelled on November 14,” Sarao said.